A unique vintage styled jacket with a great fit. Simple and elegant. Please don't take this as criticism - it is merely a question. 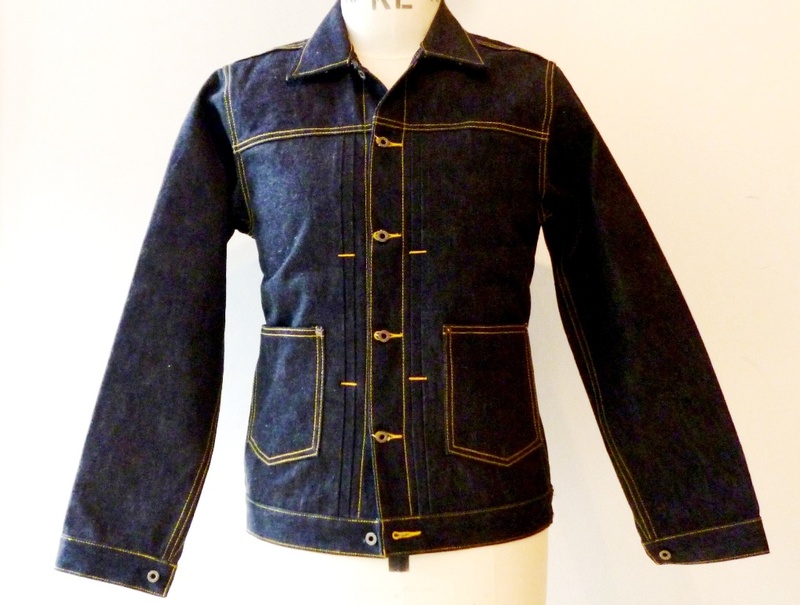 Looking at the pics, the garment looks longer than a Blouse/Jean Jacket, but not as long as a Chore/Railroad Coat. Is that intentional, or is it merely the way the pic portrays it? Hi MM, the back on a Medium I think is a 25". So they are correct waist length jackets. I think its an optical illusion as the cinch has pulled the waist in. Below is a size chart to view. Here are dimensions of the last four Blouse style jackets I have bought. 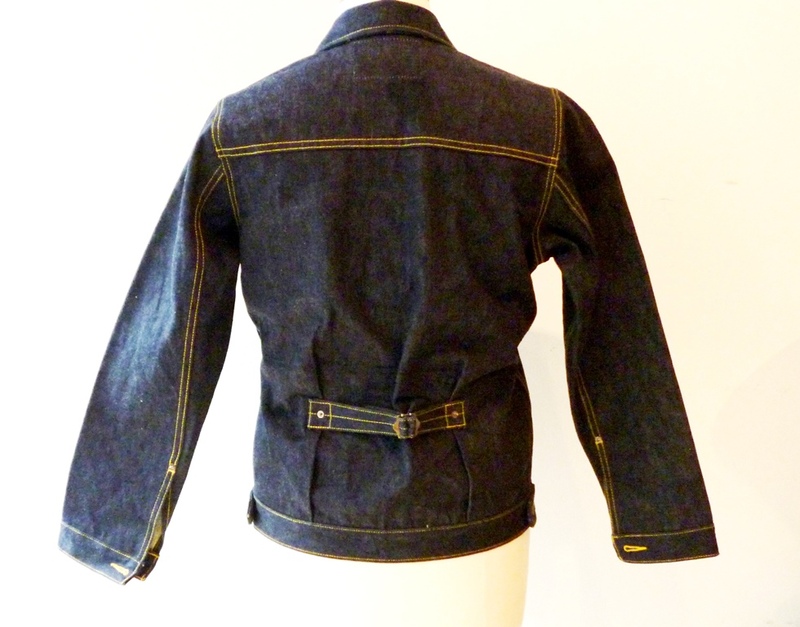 Wrangler 11MJ (size L) - pit-to-pit 21". length 24"
Rising Sun Ranch Hand (size M) pit-to-pit 21". length 24"
Well-Costume 19th Cent Triple Pleat (size 42) pit-to-pit 21". length 23"
Mister Freedom Ranch Blouse (size 40) pit-to-pit. 21" length 23"
As you can see, I always aim for a 21" pit-to-pit to give me a good fit, so I would be a small (!) in the Yard Boss, and it would still be a fraction long. 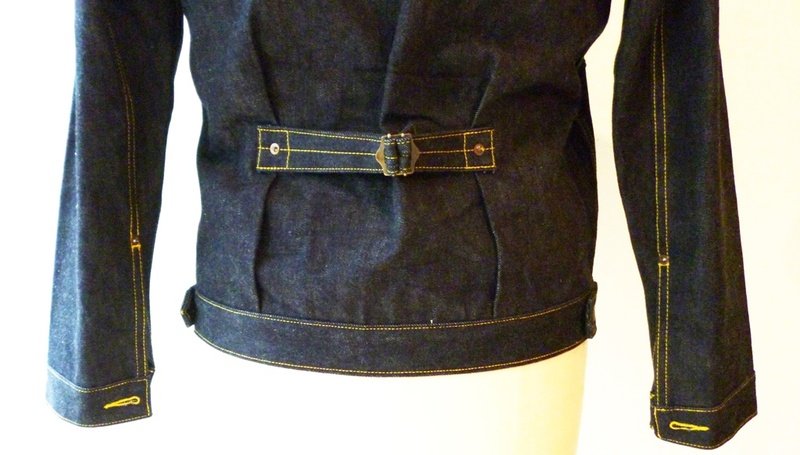 I do have a 40's Lee Chore Jacket which is 21" pit-to-pit and 25" length, but this is a Half Belt design and works in the longer length. I'll be very interested to see a few people wearing these. 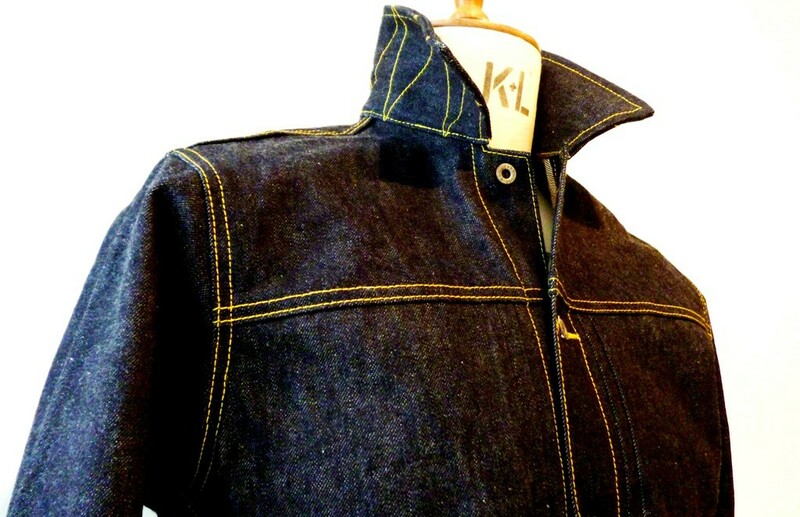 The denim looks great and I like the design but I just can't work out how one'd fit on my frame. Is it supposed to fit looser than a type 3? They are constructed to sit on the waistband of my denim jeans and pants which all mostly lock around on the waist. These jackets will fit under the waistline of 95% of most leather jackets - the Windward being the only one that I would imagine not. looks great, this is the style I've been looking for. how to order? I know I keep going on about it, but the length still bugs me. If you look at the incremental increase in length, going from the XXS through to the XXL, they all jump by an inch or less, EXCEPT the S, which jumps by an inch and a half. Any chance of making the S at 24" length, rather than 24.5"? For sure MM! No problem. Can we customize the sleeve length and thread color? One more thing, the sleeve on size XS and XXS is too long I think. I think these sizes are for ppl in height 160-170? In these cases, the sleeve should be around 22.5-23.5 inch I think. Let's work on that Joezhu, you have a good point. Hi Simon, I am 5"5, and the optimal sleeve length for me is 23", hope this will help you. Any information you need, please ask. Sure well what we need to do is work on a size chart that covers (as well as can be) people of all sizes.